M P Jain Tubing Solutions LLP, The trusted manufacturer, Supplier and exporter of 1 inch Stainless Steel Tubing empowered with a sophisticated infrastructure and offer exceptional range of pipes that are most commonly used in several machinery purposes. We, at M P Jain Tubing Solutions LLP offer an extensive variety of 1 inch Stainless Steel Tubing manufactured out of premium stainless steel and is accessible in changing determinations with respect to measurement, material evaluation and diverse fitting closures. Prominent & Leading Manufacturer and Exporter from Mumbai, M P Jain Tubing Solutions LLP offer 1 inch Stainless Steel Tubing that are most commonly used in several industrial purposes certified to ensure the excellent range of quality and performance. We also have expertise in exporting capillary tubes, surgical pipes and other all industrials tubes, bars, pipes, sheet and plate in different materials such as stainless steel, aluminum, nickel, titanium, and carbon alloy with all customers on-demand grades. The organization’s philosophy of “Hold relationship, Business will take after” has guaranteed solid demographic as well as enhanced customers base involving real open, private and joint part organizations, in separate sections. We promise the nature of our 1 inch Stainless Steel Tubing and the surface will be completely cleaned to ensure that the surface is impeccable, free from any outside materials and smooth with no inadequacy in quality. We at M P Jain Tubing Solutions LLP take extreme care that the 1 inch Stainless Steel Tubing are manufactured as per the specifications of the customer. We are known for our high degree of accuracy and precision in a different range of sizes. We cut the manufactured 1 inch Stainless Steel Tubing as per the required size and ensure that their quality remains without any physical damage. 1 inch Stainless Steel Tubing pack them either in wooden crates, clay coated cases or card board boxes ready for dispatch. We keep the welded materials coiled in wooden or steel drums of various dimensions. Every aspect of safety is checked by our skilled professionals before shipment of 1 inch Stainless Steel Tubing. 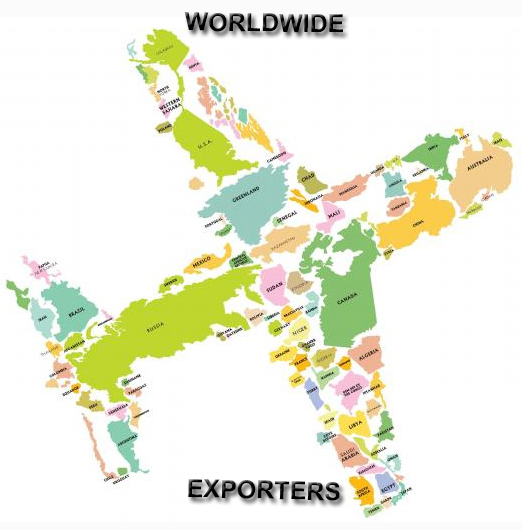 We arrange for shipment to the major destinations all over the globe. Our wide network of logistics and supply chain management ensures that the products are delivered in right time and right condition to the customer.We have huge experience, expertise in 1 inch Stainless Steel Tubing and the best dedicated team to deliver best quality products delivered as well as services at the most affordable prices for 1 inch Stainless Steel Tubing. We are looking ourselves as good business partners for customers and are looking forward to establish long term professional relationship. With our world class manufacturing facilities to 1 inch Stainless Steel Tubing. we are able to deliver on time for all grades of 1 inch Stainless Steel Tubing. Our stock house always has storage capacity for keeping lots of order from our clients. We make sure that the packaging of ordered materials is done in the best way. Our M P Jain Tubing Solutions LLP is currently offering 1 inch Stainless Steel Tubing for Industrial and engineering purposes. We have more than 70,000 bits of stock accessible for conveyance around the world. Materials can be stuffed for accumulation or dispatch that day as a request is set sparing you time. We will take care of clients necessities. We can likewise create non standard fittings and spines on speedy lead times, and ship products via AIR cargo or SEA cargo from both European and Non European makers. M P Jain Tubing Solutions LLP has broader item portfolio, administration capacities and stays focused on giving astounding administration. We will stay concentrated on enhancing the personal satisfaction for our valuable customers. Specialists can feel certain about the nature of our items and administrations and sure about our capacity to give preparing chances to new surgical methods. Our dedication is to give preparing chances to new surgical methods. Our dedication is to give compelling, innovative answers for the necessities of orthopedic specialists. We are the eminent Manufacturer of 1 inch Stainless Steel Tubing. Our dedication is to give compelling, innovative answers for the necessities of orthopedic specialists. We are the eminent Manufacturer and hug stockist of 1 inch Stainless Steel Tubing. We Offer Square Tubing in stainless steel, galvanized steel, sandvik stainless steel, mild steel, alloy steel, cold rolled steel, carbon steel, duplex stainless steel, polished stainless steel, inconel, 1 inch Stainless Steel Tubing, tantalum, copper nickel with Seamless, Welded and EFW Form. We are eager to grow as a big player in this field of 1 inch Stainless Steel Tubing equipments manufacturing, shipment and exports. We understand that for our vision of growth we have to deliver the best quality 1 inch Stainless Steel Tubing Products and services consistently. Our constant endeavor is to excel in all the aspects of manufacturing, packaging, shipment and export of the 1 inch Stainless Steel Tubing. In a limited ability to focus time it has turned into a main producer in the local business sector and has concentrated on International Market as well. This has been made conceivable by constant advancement and centered vision of the administration. M P Jain Tubing Solutions LLP takes after an aggregate quality methodology and its items comply with the most elevated worldwide guidelines. The organization’s philosophy of “Hold relationship, Business will take after” has guaranteed solid demographic as well as enhanced customers base involving real open, private and joint part organizations, in separate sections. We promise the nature of our 1 inch Stainless Steel Tubing and the surface will be completely cleaned to ensure that the surface is impeccable, free from any outside materials and smooth with no inadequacy in quality. Our Manufacturing organization has emerged for assembling 1 inch Stainless Steel Tubing. The organization takes into account the corner markets of all the developing segments such as oil and gas, refineries, petrochemicals, process commercial enterprises, power plants and water appropriation.